Professional, Skilled and licensed crew with no subcontractors. Call us today! 647-951-3510 Ontario Canada Area: Toronto, North York, East York, Mississauga, Oakville, Burlington, Hamilton, Scarborough, Ajax Pickering, Vaughan, Thornhill and Richmond Hill Ontario, Local Service Free Estimate! Fast Door Repair Service. We have specialized in the design, installation and repair of Residential, Commercial and Industrial doors in the Richmond Hill Ontario for many years. We service all types of doors including storefront doors, custom design hollow metal fire doors, warehouse doors, and wood doors. Regardless of your door style, Richmond Hill Ontario Doors will promptly be at your service. Home safety is our number one priority. Therefore, we ensure that we can provide you with door repair service 24 hours 7 days in Richmond Hill Ontario. Our technicians are experienced in repairing doors that do not lock / unlock, or doors that do not open / close. We repair dragging doors, noisy doors, doors that are falling apart, sticking doors, not securing doors, off track doors, out of frame doors, off the hinges doors, misaligned doors, warped doors, damaged doors, sagging doors, and slamming doors which are our specialty. We stock different doors and many door sizes so that when you need a door we can provide you with it right away. We carry all the necessary hardware and parts to solve these issues. Please call us 24 hour to take care of your door problem. We service many different doors when it comes to repairs, including, commercial door repairs, roll up door repairs, glass door repairs, Hercule door repairs, metal door repairs, hollow metal door repairs, wood doors, fire rated doors, interior / exterior doors storefront door repairs, and many more. In addition to doors and frames themselves, you can also rely on Ontario Door Repair for the installation and repair of all your architectural hardware. From hollow metal doors and panics or security hardware, to lite kits, door stops, closers, pivots, hinges, thresholds, and push and pull or lever locks, Ontario Door Repair is proud to have established a strong working relationship with the notable Innersole-Rand Security Technologies and Companies as our suppliers for all of our hardware components. 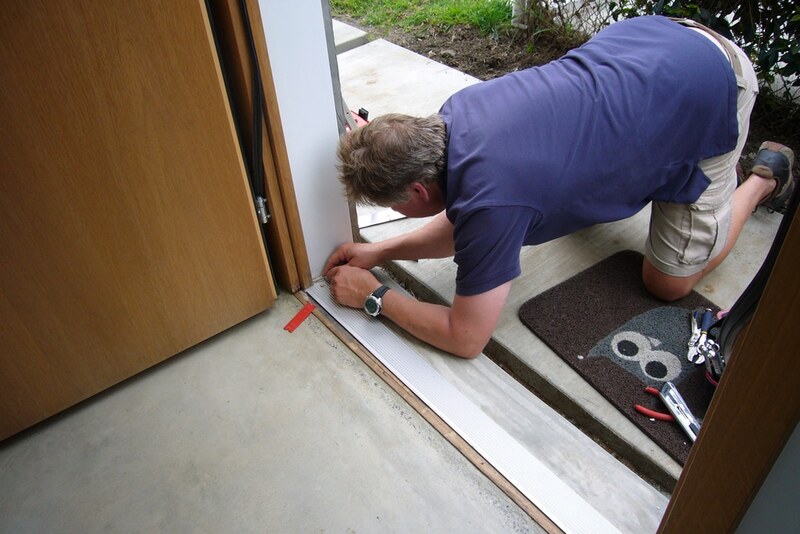 As a client of Ontario Door Repair, you are our greatest asset and we want to ensure your total satisfaction. We provide all manufacturers warranties and a full service guarantee on installations and repairs. You can also trust that all our work has been custom built to precisely meet size and design specifications, and that we will be available in the Ontario to service any of our products when needed. A visually pleasing store front is important to catch the eye of potential customers. 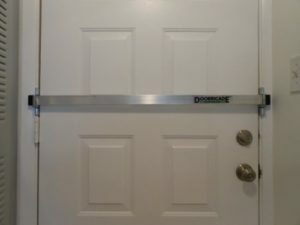 If your store front is needing maintenance or not functional, contact Ontario Door Company for storefront door repair. For over 20 years, local businesses have trusted us to repair their front doors in a quick, cost effective manner. We are dedicated to make your store front as inviting as possible to make a great first impression. With Ontario Door Repair Company’s storefront door repair services, you’ll never have to worry about losing business because of a displeasing store front. Invest in your business by improving your storefront appearance. Looking to spruce things up a bit? Ontario Door Repair carries a wide array of storefront doors and hardware to give your business the curbside appeal you are looking for. We can modernize your existing storefront or replace your existing entryway for a whole new storefront. Contact us for details and a free quote. Fire-rated doors for industrial buildings, manufacturing facilities, and large commercial buildings with strict fire safety regulations. Glass and aluminum storefront doors with automatic operation for shopping malls, retail stores, office complexes, and other public buildings. Hollow metal doors and wooden exterior doors for small businesses and retail stores. Security gates and grilles for private buildings, car parking garages, and street-facing building entrances. Canopy doors and counterweight doors, including doors with built-in pilot doors for easy entry. Richmond Hill Ontario Door Repair specializes in recommending and installing the right Commercial Doors, Automatic Doors and Automatic Sliding Doors for your project. We are confident that we will be as competitive in pricing as other Automatic Door suppliers. We’re the trusted source of knowledge, information and exceptional service here in Richmond Hill Ontario. We believe that no job is too big or small. you can count on our years of experience, professionalism, and dedication to the community to get your door installation or repair done right. We will provide you free estimates for the job, explain everything before we begin, and finish quickly to ensure that you can go back to running your business as soon as possible. We’ve got you covered!